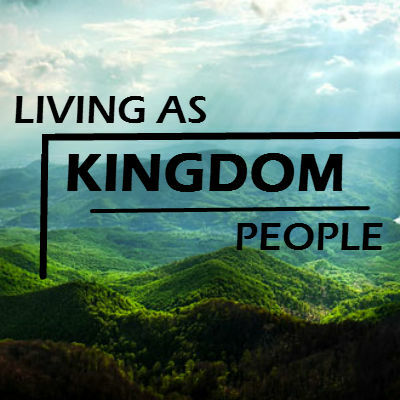 Let’s face it, we as Christians have one main goal in mind – to live in God’s kingdom. Our ultimate home and the promise given from our Creator. So important that this kingdom, the future home of the faithful is the last message given to the world. We see that the “kingdom” message is what will be preached to the “whole world”. Sadly, we as Seventh-day Adventists do not understand correctly this– kingdom. 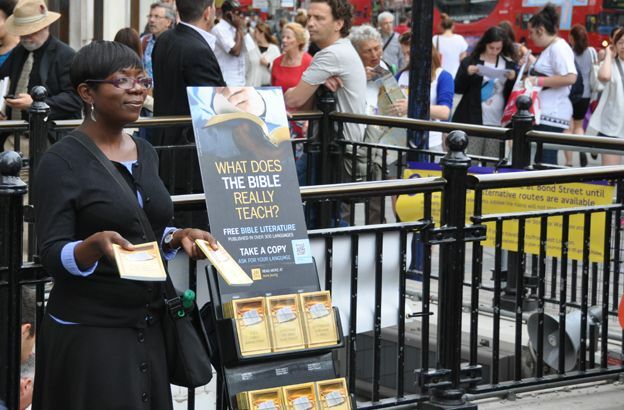 The present truth believers do, however, and especially God’s final prophet knew all about it. Let us look into this final kingdom. The Jews of Christ’s time knew very well the Scriptures, especially the promise of the real earthly kingdom to come. So important was this subject that it almost overshadowed all else in prophecy. The Apostles were no exception, also believers in the prevalent understanding of the earthly kingdom. They showed this by their last inquiry of Jesus upon His ascension. Do you notice that Jesus did not say no. He said it was not for them to know —when. In other words their understanding of this kingdom , their idea of it, would come to pass someday but not in their time. Can we imagine if Jesus would have said “no”, how this would have taken the wind out of their sails? Their hope was to be held up at all costs. They had a work to do. Fast forward to today. Do we really understand how fortunate we are? We are the ones who this promise is to be fulfilled with! Wow! This should make us shake in our boots! Our final prophet was given the light on this kingdom, you should know him well by now–Victor Houteff. Our prophetess, Ellen White, was given an extraordinary amount of light, yet we know she did not have much on the “pre-millennial kingdom”. It was brother Houteff who was given the Elijah message and the important task of restoring “all things” including the kingdom promised to the Apostles and all believers, ancient and current. Once again, sadly the general SDA population doesn’t have one clue about this. Satan has effectively “shut out” the Lord’s Elijah message to nearly the whole church! Is it any wonder that Rev. 7 says “only” 144,000 are sealed from all the tribes , all the church! Ponder this brethren. Now is our time to awake and jump on board before our time is up! Start believing and proclaiming don’t sit there and assume you’re covered! Remember Jesus said we, Seventh-day Adventists are deceived and knoweth not (Rev.3:17). You start to believe in this true upcoming kingdom, you start to peel off that deception! Ok, let’s look at our title subject– the kingdom subjects, who are they? ” Five Groups in the Kingdom. Let’s briefly go over each group. As present truth believers, we are well familiar with this group. This is who we as SDA are “striving” for. We should also be solemnly aware that this number is literal. In Revelation 7 we know that from “all” the tribes, all the church, there will be 144,000 sealed. We are the Israel of today (See Testimonies, vol. 9, p.164). In Rev. 7:9 is described the great multitude which no man could number. These are they who are in “Babylon” , confused religion, who accept the last gospel proclamation of the kingdom. They embrace it and choose God’s kingdom over man’s false Sunday religion. The “Great Controversy” is about the final conflict for these souls. “Here we are told that in the time of trouble these arise, some to live forever and some to die again. The message doesn’t say a whole bunch about this resurrection other than it will be real as those verses say. This is known as the classic resurrection of the just. The one most well-known as the “first” resurrection. So there we have all five groups that shall be in the kingdom. The question each SDA must ask is “Will I be a part of group 1? This is the “only” group available to us based on the Lords’s final message of Elijah (unless we die and may be part of group 3). To “strive with all power God has given us” does not mean to casually “think about” being in this group. To be sure this earthly kingdom shall be of short duration. The sole purpose being to warn the world of the upcoming disaster (7 last plaques) and to welcome any and all who will come. God will tell the world to come into his beginning phase of the kingdom and then be transferred to the heavenly one for 1000 years. Then to the final restoration kingdom on earth for eternity. Jer. 30:12-19 — “For thus saith the Lord, Thy bruise is incurable, and thy wound is grievous. There is none to plead thy cause, that thou mayest be bound up: thou hast no healing medicines. All thy lovers have forgotten thee; they seek thee not; for I have wounded thee with the wound of an enemy, with the chastisement of a cruel one, for the multitude of thine iniquity; because thy sins were increased. Why criest thou for thine affliction? thy sorrow is incurable for the multitude of thine iniquity: because thy sins were increased, I have done these things unto thee. Therefore all they that devour thee shall be devoured; and all thine adversaries, every one of them, shall go into captivity; and they that spoil thee shall be a spoil, and all that prey upon thee will I give for a prey. For I will restore health unto thee, and I will heal thee of thy wounds, saith the Lord; because they called thee an Outcast, saying, This is Zion, whom no man seeketh after. After having gone through their captivity, the people shall fully realize God’s mercy and His wisdom to save them. They shall be happy forevermore, for He will multiply them in the land of their fathers, and there He will make them great. “Amos 9:9-15 — “For, lo, I will command, and I will sift the house of Israel among all nations, like as corn is sifted in a sieve, yet shall not the least grain fall upon the earth. All the sinners of My people shall die by the sword, which say, The evil shall not overtake nor prevent us. In that day will I raise up the tabernacle of David that is fallen, and close up the breaches thereof; and I will raise up his ruins, and I will build it as in the days of old: that they may possess the remnant of Edom, and of all the heathen, which are called by My name, saith the Lord that doeth this. The real kingdom is coming will you be a part of it? The Scriptures are very clear– God’s Word is exalted and even so high as to be “above all Thy name.” This is profound! Let us look into this most important subject. In the beginning we remember that the Lord told Adam and Eve not to eat of the tree of the knowledge of good and evil. He gave them his Word and it was clear. But soon we see that Satan came upon the scene and did what? He twisted and changed God’s Word. This was his very first act of deception upon mankind. Let us see the two statements. We notice that Satan added his word “not” — “Ye shall not surely die”. God’s Word was destroyed and made of none effect by the cunning deceiver. But has Satan changed at all with his very first deception? Absolutely not! Now, do we think Satan,being so successful in his original twisting of God’s Word, has not continued to this very day with this same plan? Of course he has! Let us look at a recent example. Brother P. is a long time SDA. He is a member in good standing. He even teaches a after Sabbath service bible study class. Recently I decided to drop by and took part in the study. The subject was about Rev. 20. I listened and made some comments as we discussed this chapter. Brother P knows that I am a Elijah message believer. The study went ok and it was over in about an hour. After the study I left and happen to run into one of the other members who was at the study. We had never met before so I introduced myself and we started to hit it off. We told of our own SDA beginnings and how we came into the SDA church. His story was very unique. Soon after about 30 minutes of our conversation in the parking lot, who do you suppose happened to wander over to chat with us? Yes, brother P. As soon as he got there, he wanted to chat and the conversation turned over to him and I. The other brother, an elderly man who seemed an “open book” to learning the message of the hour, then had to take a back seat. Why does it seem that just when we are making inroads with our brethren, there comes some distraction? A little history on brother P. He has been given much present truth material, CD’s, DVD’s, Tracts, etc. for a few years now. Yet has never showed that any of it means present truth to him, for all I know he hasn’t even spent much time investigating whether it is Truth or not. He took his Bible and we opened it to Malachi 4:5. I pointed to this and said, “Brother if you think that no prophet came then you must admit that the Lord’s word has returned to Him void.” He responded that the verse means the “Elijah message” before the great and dreadful day of the Lord. Ah, does this all look familiar from days of old? Is that what the Lord’s Word says? Of course not. But does this trick look familiar? Yes indeed! The Lord’s Word twisted again and made of no effect from a worker of the mighty deceiver! The game plan hasn’t changed! “The truths most plainly revealed in the Bible have been involved in doubt and darkness by learned men, who, with a pretense of great wisdom, teach that the Scriptures have a mystical, a secret, spiritual meaning not apparent in the language employed. These men are false teachers. It was to such a class that Jesus declared: “Ye know not the Scriptures, neither the power of God.” Mark 12:24. The language of the Bible should be explained according to its obvious meaning, unless a symbol or figure is employed. Let us make no mistake, after the Elijah prophet came, we as faithful workers do indeed spread the message but the promise is for the Elijah prophet to come first to proclaim it. “Whenever the study of the Scriptures is entered upon without a prayerful, humble, teachable spirit, the plainest and simplest as well as the most difficult passages will be wrested from their true meaning. The papal leaders select such portions of Scripture as best serve their purpose, interpret to suit themselves, and then present these to the people, while they deny them the privilege of studying the Bible and understanding its sacred truths for themselves. The whole Bible should be given to the people just as it reads. It would be better for them not to have Bible instruction at all than to have the teaching of the Scriptures thus grossly misrepresented. “…trembles at My Word”? The reverence of His Word is indeed VERY important to Him. Yet sadly Satan and all his workers, even those who knoweth not whom they serve, do the terrible deed of destroying what His Word clearly says. This seems to be a very great dividing line between those who “believe” in Him and those who don’t. They seriously –TAKE HIM AT HIS WORD. I see this over and over again. The twisting and denying the simple clear Word. Another example is very active today among us “present truth” believers. Let’s discuss brother T.
This my brethren is as clear as the english language can make it! What do we see? We see that the Lord’s Rod says that the Elijah prophet to come and his message is the “very last” to come to the church. Yet let us look at what brother T teaches around his crowd. Do we not see Satan’s fingerprints all over this supposed worker of God? The very same trick from the very beginning! God’s simple clear Word is twisted, destroyed and made of no effect. So what do we have here? We have a clear sign post of what to avoid! Those who teach that God’s Word doesn’t mean what it says are Satan’s henchmen who want to destroy the Lord’s exalted Word. We must be onto this trick and be prepared for it is running rampant throughout our ranks as His remnant people. We are almost ready for the establishment of His kingdom , let us remember that all God can do is give His Word through His prophets. We MUST believe what the Word clearly says. We cannot be found as “believing” in Him if we do not believe in His Word.